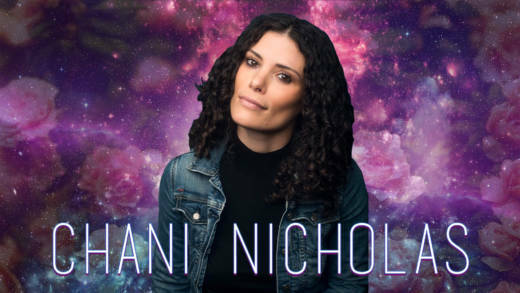 This week, we are joined by cosmic goddess Chani Nicholas. You’re probably one of the million readers who flock to her wildly popular astrology blog every month. And if you’re not, that’s about to change. "I think that there is a need to make meaning out of the massive amounts of completely overwhelming and sometimes totally depressing information that we are inundated with. It's like, how do we keep up? I can't even process the mass shooting that happened three weeks ago. I can't process the one that happened last week or the wildfires. It's all so much. Our systems aren't made to be able to handle this much information. "People more and more need somewhere to just touch down and reconnect with themselves, even if it's just for a moment...We need to stay as close to our humanity as possible in these times because it's so easy to get caught up in the extremes. How do we stay close to our human connections, our human emotions, our bodies, our selves? I think, if astrology is worked with in an intelligent way, it can help us do that." "On behalf of all astrologers, it's Mercury retrograde; Mercury is not in anything. It's just appearing to go backward. Mercury is the planet of communication so it is popular belief that, when Mercury appears to station and stop in the sky and go backward and then become invisible and then reappear again, communications go through a kind of underworld experience, which pop culture has really grabbed onto and made a lot more out of than it really needs to be. "I think that we're really forward-focused and we're really hung up on progress. Nature reminds us all the time it's really important to also follow the rhythms of life. And so Mercury retrograde might have us reviewing certain ways in which we're communicating, might have us backtracking, might have us not going forward in all areas of our life. But that's not the end of the world." "Mercury is the only planet in the traditional system that can be either male or female, and so it represents this trans kind of nature. It's transgender, it's trans diurnal and nocturnal. It moves, it's liminal, it's in between the spaces, and so it teaches us of the third way. When Mercury's retrograde and we're thinking of this kind of liminality, then what else is present? Why are we so hell-bent on having life be one way? What else is Mercury trying to open up to us?" "I think what astrology does well is it teaches us about cycles. And cycles don't mean repeating everything verbatim; they mean we're turning back to something with a new consciousness, more information, and having grown. This cycle that we have entered as of a year ago, the last time we were in it was 84 years ago, which was 1934. And the last time we were in a similar position as we're having this year was 1936. "Back when astrologers saw this coming, a lot of us were talking about the return of fascism. We have that sentiment already loud and clear. It doesn't mean that we're going to be in the same situation. But what it does mean to me is it's an urgent call to action to be very aware of what's happening, to be very vocal of it. "If you're somebody who said, If I was back in 1930-whatever, I would have done ABC! Well, now it's your time to do that, no holds barred, without feeling any kind of shame, without feeling any reticence. Be proactive in your civic duties. Be a citizen of this world. Be a citizen of this country. Be a neighbor. Be somebody who is actively engaging in what justice looks like here and now in this moment."